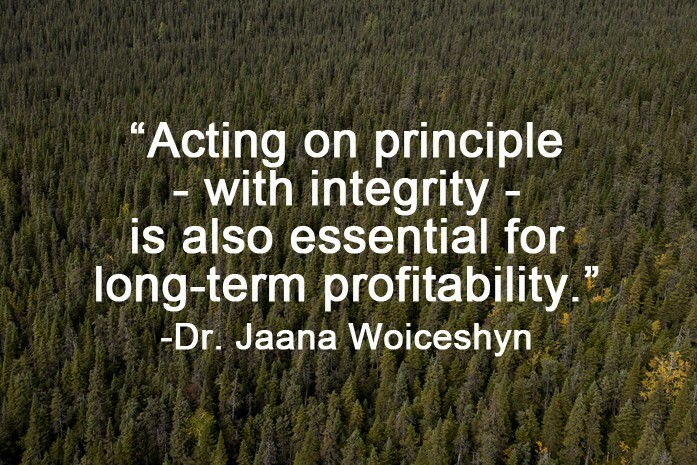 In her recent blog post, “Business under an attack: Lessons from Resolute Forest Products”, Dr. Jaana Woiceshyn, a professor of business ethics and competitive strategy at the University of Calgary’s Haskayne School of Business offers an argument in support of businesses standing up against “bullying” from ENGO activist attacks. In particular, she writes about our CEO, Richard Garneau, and his response to recent attacks by ForestEthics. We encourage you to read Dr. Woiceshyn’s post in full.